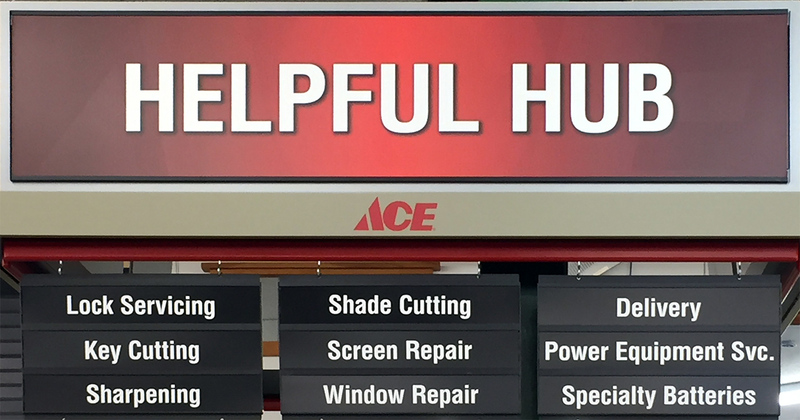 There’s more to Kittery Ace Hardware than you might expect! 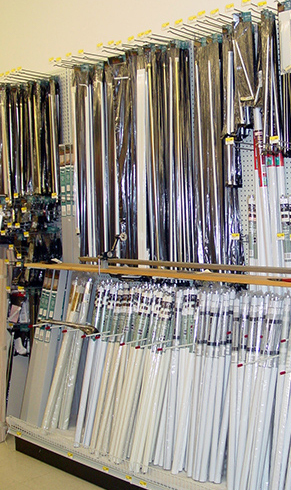 From specialty repairs to cutting services to shipping…we are not your typical hardware store. Small Engine Repair: tune-ups and repairs for lawnmowers and snowblowers. Tool Repair: We service all the major brands. See our Tool Repair Policy for more information (opens in a new tab). Screen Repairs: Did your pet put a hole in your screen? No need to replace the full screen, we can fix it. Window Repairs and Lock Servicing. Sharpening Service: Mower blades getting dull? We’ll bring them back to life. 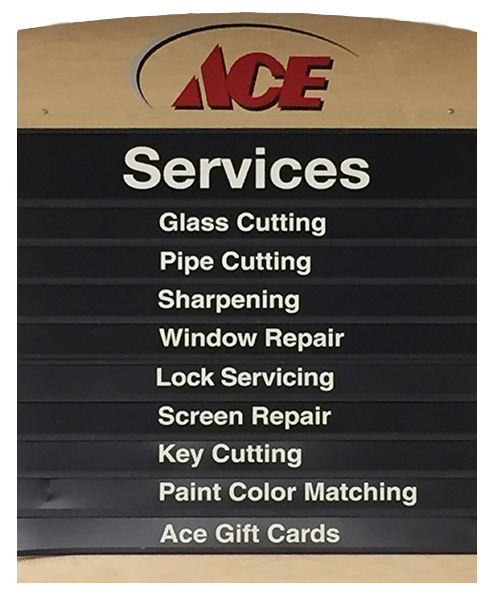 *NOTE: We also provide tool repairs, small engine repairs and tune-ups at the Ace Storage Office located at 93 Raydon Road in York.